I would always have shrimp in any planted aquarium I have and so should you. 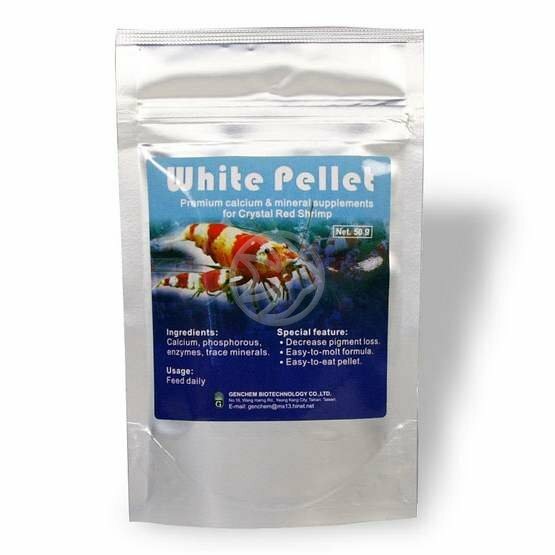 They perform such a wonderful job of cleaning up and recycling everything in your tank and offer a buffer it terms of keeping excesses down. 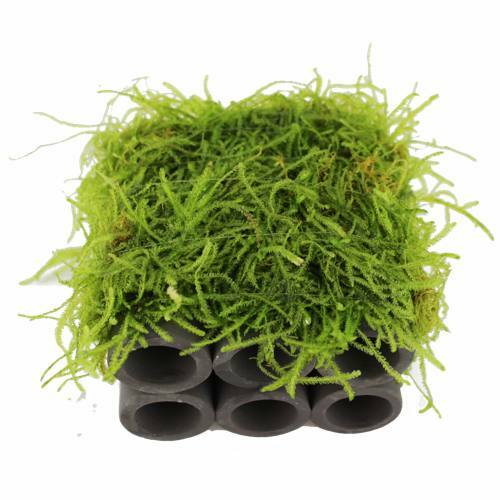 For example, in previous newsletters I’ve discussed the importance of water changes and by keeping your water clean, you reduce the amount of food available for algae. 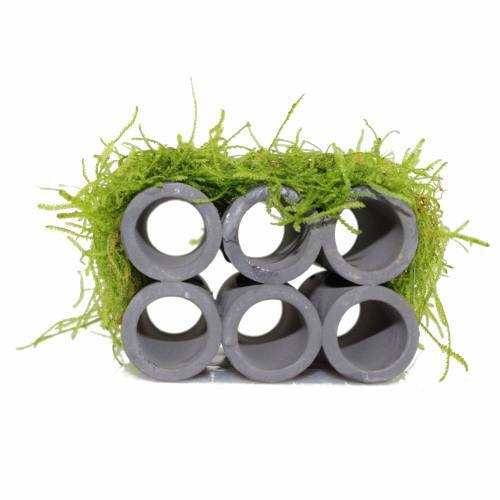 Anything in your aquarium that is breaking down produces ammonia, so leaves that are decaying contribute to this. But if you have shrimp, they’ll be straight onto it. So rather than leaves rotting and producing ammonia, your shrimp will deal with it and compost it for you. 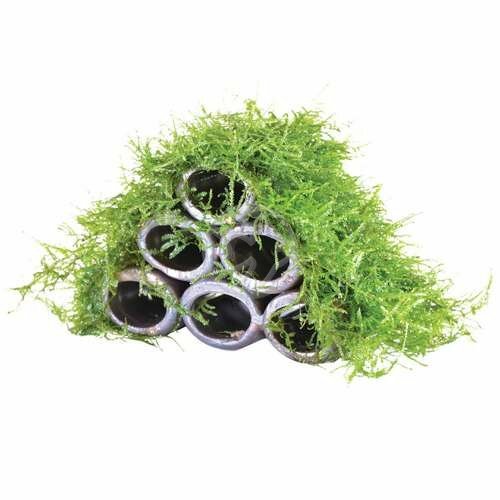 As a result, there’s less food for the algae to consume and your tank is cleaner and healthier. It really is as simple as that. In terms of shrimp numbers you can literally have as many as you want. The tank which holds our cherry shrimp is 3x1x1′ and houses about 800 shrimp – they’re not cramped in anyway. I’m not suggesting you need that many but you do need a suitable amount (more than 10 for eg) for them to make an impact. To visit our shrimp page click here. 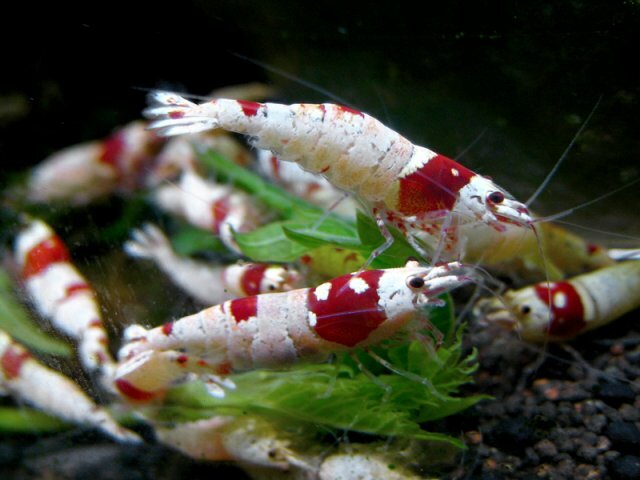 These shrimp are a little more unusual to the typical red shrimp that you may have seen in shops or our website and a little bit more attractive as I am sure you will agree. They’re a bit like Cherry Shrimp but just much redder (see below). 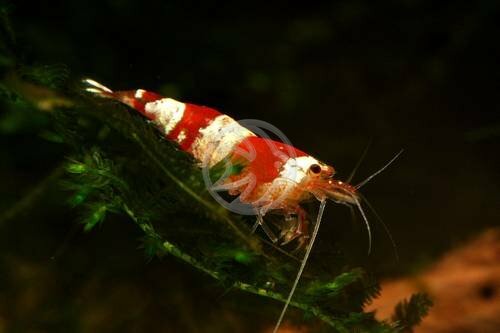 Cherry Shrimp – Mostly transparent with spots of red. Legs are always colourless. Sakura – The whole body remains fairly red, except the lower part of its body which tend to be striped. High Grade Sakura – Almost red with only a few cracks on its body and legs. Some can appear slightly orange. Fire Red – Entirely red with no obvious cracks on the body or legs. The key to this shrimp is the legs are all red. 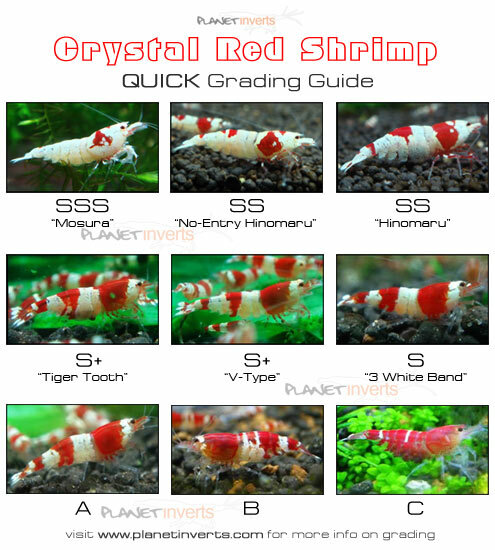 We only grade our red shrimp at the moment as Cherry Shrimp or Fire Red Shrimp. I don’t believe the market is ready for other grades of cherries at the moment so we’ve just broken it down into two which avoids confusion – this means some of you when purchasing Cherry Shrimp from us may receive High Grade Sakura. 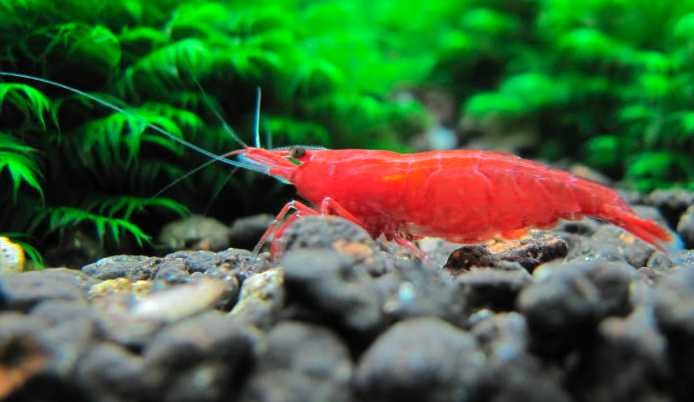 Fire Red Shrimp need the same care as the other shrimp we stock. They prefer slightly acidic water and a temperature of 22C. 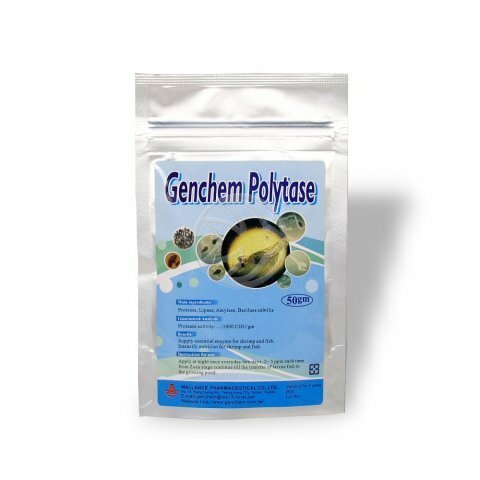 Give them high quality shrimp food from Genchem and you will find that given time, they will breed. Best to keep them on their own as they are part of the food chain.